World Series of Fighting and Rocktagon World Wide Music jointly announced today that the two emerging entertainment properties, will continue their unique partnership that has been integrating modern day active rock, hip-hop, and electronic music into live, world championship Mixed Martial Arts (MMA) events. 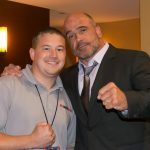 Over the course of the last three years, Rocktagon World Wide Music has become the recognized leader in combat sports themed music production, while World Series of Fighting, heading into its 26th live event on Friday, Dec. 18, has developed into one of the top-tier MMA leagues worldwide with television programming in over 70 countries. “There have always been a number of synergies between prize fighting and music, including the raw energy contained in both as well as the ability of each to inspire audiences, so our partnership with Rocktagon World Wide Music is an asset in terms of enhancing our production value and fan experience at live events,” said World Series of Fighting CEO Carlos Silva. “World Series of Fighting is a growing MMA promotion, and by integrating music from all genres into live events, we’re able to demonstrate a new era of cross promotion between MMA and music fans,” said Rocktagon World Wide Music CEO James Jeda. Rocktagon World Wide Music tracks will be heard throughout the live, five-bout NBCSN telecast of “WSOF26: Palmer vs. Almeida,” beginning at 9 p.m. ET/6 p.m. PT from The Cosmopolitan of Las Vegas on Friday, as well as the live stream of the five-bout preliminary card on WSOF.com, beginning at 7 p.m. ET/4 p.m. PT. 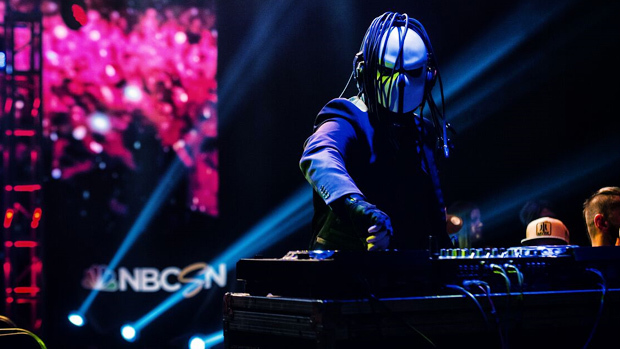 The partnership between World Series of Fighting and Rocktagon World Wide Music kicked off at WSOF22 on August 1, and featured a live set by renowned Venezuelan electronic dance music deejay Zardonic. Find out more about the music you hear at Rocktagonmusic.rocks.